This crisp poplin top is an effortless way to elevate your everyday dressing. This crisp poplin top is an effortless way to elevate your everyday dressing. 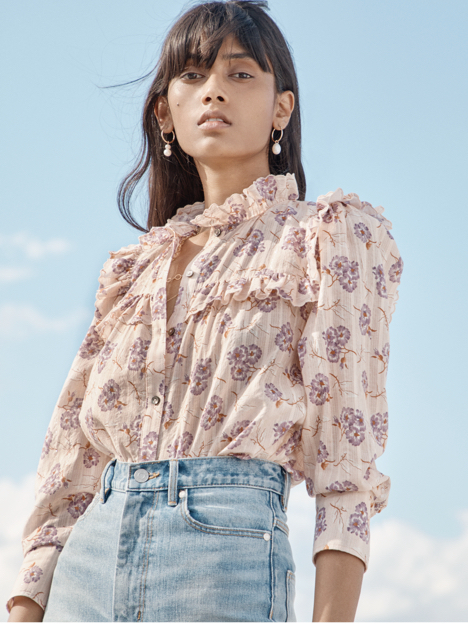 Scattered with violet micro florals and designed with gentle volume at the sleeves, this style is finished with a keyhole neckline that reveals a glimpse of skin.